It's been a busy time for Mailbox Goodies here! 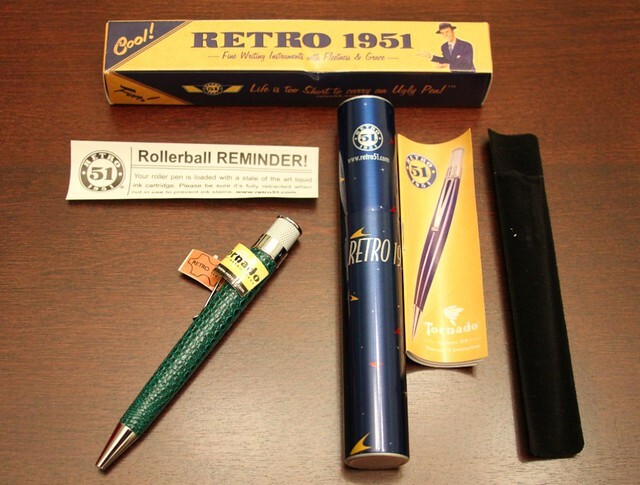 This week, I received a package from Retro 51 for the St. Patrick's Day giveaway held at the blog! I had the tab open for a little while and I was thinking and thinking, trying to come up with a clever ending to "Wherever you go and whatever you do, may...". This was decidedly difficult and I gave up a few times. Finally, I went with a simple and classic one: "Wherever you go and whatever you do, may a Retro 51 be right there with you!" Anyway, this super fun package included a Retro 51 t-shirt (in red, which is possibly one of my favorite t-shirt colors ever), a Retro51 pin, and of course, the green Croco Tornado! I am also madly in love with the tube it came in as well!! 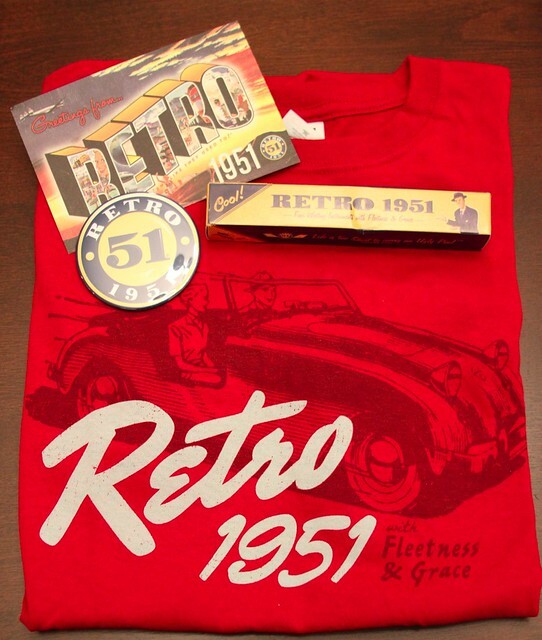 Many thanks to Retro 51 for these great goodies!! Happy 1st Birthday Peaches and Koa! Happy 1st Birthday Ellie Bean!